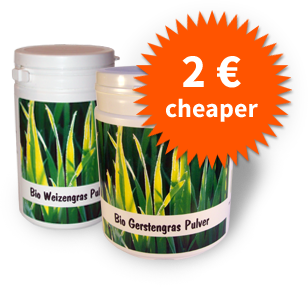 From now on our organic barley grass powder, organic wheatgrass powder, organic spelt grass powder as well as our organic alfalfa powder are permanently 2 € less priced. Our graduated discount system will of course remain in place. We are Your manufacturer for grass products. Welcome to the website of SANOS GmbH. We are your manufacturer for barley, wheat, spelt and alfalfa products in organic quality. We produce all our products in close collaboration with our organic certified agriculturalists near Meersburg at Lake Constance in Germany. Our greatest value is the natural and untreated quality of all our commodities. This is why we harvest our grasses when they not even have ears. By this we achieve highest concentrations of vitamins, minerals and trace elements. Later our grass is dried with cold air below 38 °C (100 F). We avoid higher drying temperatures that could harm the sensible micronutrients. Dried, milled to powder and - as the case may be - pressed to little tablets we deliver our grass products to you. Buy organic grass products and more. 26 January 2019 — We reduce the Prices!